Jul'15 - History Of Guns - Gig! / New Music! / Museum Exhibition! - Only gig for 2015 will be at The Jungle Bar in Hertford as part of Hertford Musical Mystery Tour on 30th August... performing as a two-piece. Taking Industrial as a modifier that can be applied to any genre History Of Guns have explored many different areas of music from ambient electronica to dance to rock to punk. 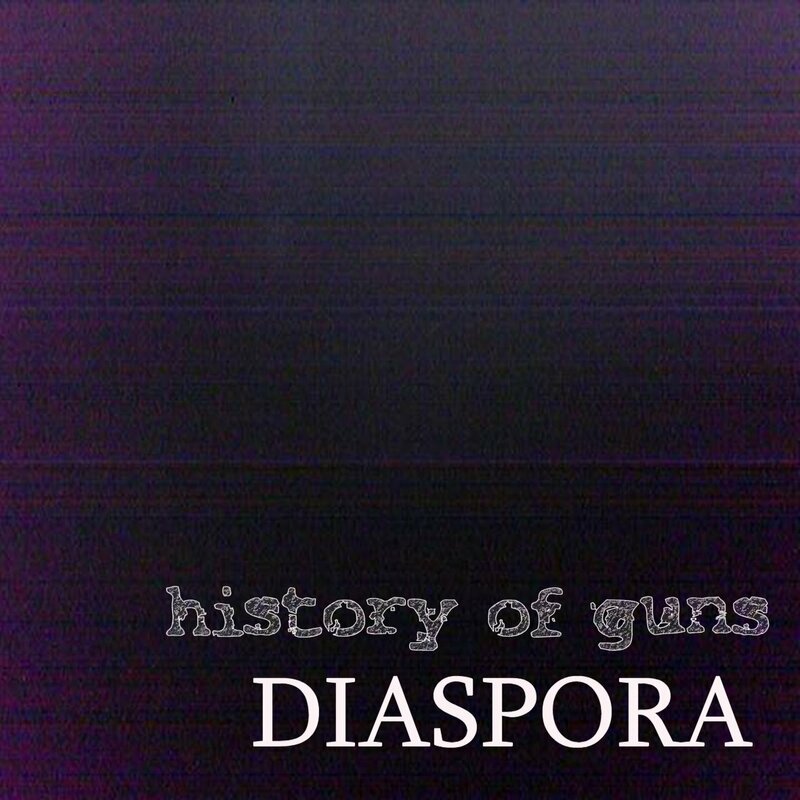 History Of Guns released their dark electronica 'Flashes Of Light' debut album in 2004, and have gone on to release three full length official albums, as well as a series of EPs and free download releases. Their last full album, 2008's 'Acedia' focussed on the abrasive guitar side of their sound and was a considered attempt to examine and confront the various personal demons of lyricists Del Alien and Max Rael in an open and honest way. The album was widely acclaimed including a 9/10 review in Rock Sound Magazine. 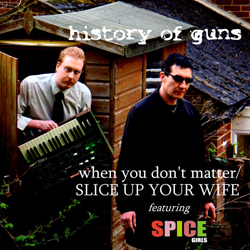 To prove they hadn't lost their sense of humour they followed this up with a three track meditation on 90s girl band phenomenon The Spice Girls, known as 'The Spice Girls EP' and featuring the lo-fi electropunk mashup, 'Slice Up Your Wife', a satire of both The Spice Girls faux-feminist stance and faux-macho/misogynistic rap and rock. It's about life and death and all of that. Bob Barker from Line Out Records said, "Successfully covers a huge range of styles while still maintaining that brilliant History Of Guns sound." History Of Guns will be playing their first gig for four and a half years on Friday October 11th 2013 at The Sinbin, Plough & Harrow, 419 High Road, Leytonstone, E11 4JU. 7:30pm. With The Infinite Three + tba more info: Line Out Records Or there's a limited edition collectable CD available from Amazon . Jan'12 - Happy New Year. History Of Guns 4th album, Whatever You Do Don't Turn Up At Twelve, will be released in March via Line Out Records / Zero State Media. Sept'11 - Live footage of History Of Guns playing The Mirror Pond at Whitby Gothic Weekend. once it's mastered the title, tracklisting and release details will be published here. Jul'10 - This Is Industrial Punk vol 2 is a new compilation, includes Kicking Down The Doors, the first song to be released from History Of Guns upcomming 4th album. Also on the compilation are: Phallus Uber Alles, Spucktute, The Volatile Gentlemen, Xykogen, Global Noise Attack, Digicore, Action Direct, Flesh Eating Foundation, Death By Electro Giants. And it's only £2 available from the shop (click here). Nov'09 - Little Miss Suicide EP - TEN YEAR ANNIVERSARY - Free Download from Last FM. Read the explanation: What on earth were we thinking? Apr'09 - new single It's Easy / Exhaust Fumes (remix) / Exhaust Fumes (video). See the new video for EXHAUST FUMES created by Howard Gardner.